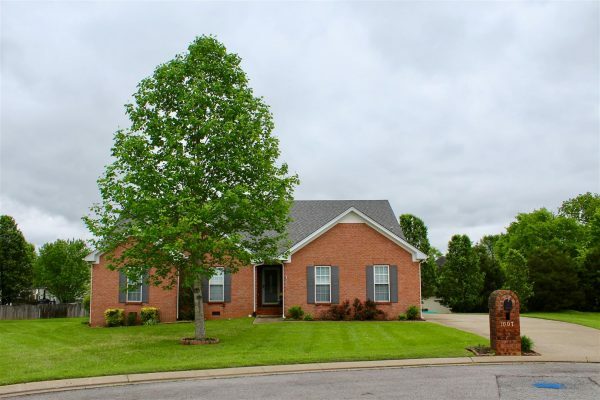 SOLD $217,800 Auction 3 BR 2 BA / One Level / All Brick Home & Personal Property | Middle Tennessee Real Estate :: Maples Realty & Auction Co.
You will love this move in ready 3 BR 2 BA all brick home on one level, located on a quiet cul-de-sac. This home includes a finished sunroom, hardwood floor and tile, and a 2 car garage, situated on the north side of Murfreesboro. Conveniently located to shopping, dining, schools, and much more. Personal Property: Tilt table, grandfather clock, tea cart, dining table with double leaf and 6 chairs, and hutch. Directions: From 231 North/Memorial Blvd take right on Compton Rd. Left on Meadowhill Dr. Right on Hawksridge Dr. The home is in the back of the cul-de-sac. No, it’s located within the city. Just the items that are listed.